On March 31st, 2011, the U.S. Consumer Product Safety Commission urged consumers to stop participating in a new type of water-related recreational activity involving Water Walking Balls, due to the potential risks of suffocation and drowning. What do you need to know about this safety warning issued by the CPSC? 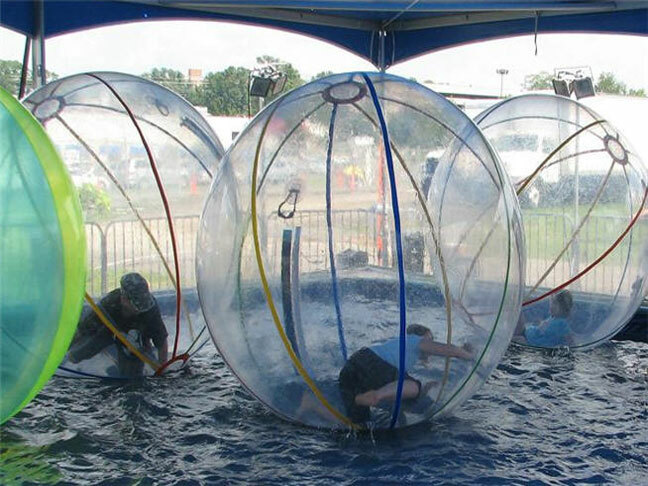 This activity is called water walking and the water walking ball has numerous brand or ride names. The fact that the product has no emergency exit and can be opened only by a person outside of the ball significantly heightens the risk of injury or death when a person inside the ball experiences distress. Pre-existing medical conditions, such as heart, lung, or breathing issues, can be made worse by use of this product. An individual climbs into the large, see-through plastic ball; it is inflated with a blower through the zipper opening; and the zipper is closed, making the ball air-tight. The ball, with the person locked inside, then rolls around on a number of surfaces, including water, ice, or grass. The product is most commonly used by children and is used mainly as a ride in amusement parks, carnivals, malls, sporting events and other high-traffic areas. The product is also sold directly to the public for personal use. Several states have banned or refused to provide permits for rides that use this product. CPSC is aware of two incidents involving this product. In one incident, a child was found unresponsive after being inside the ball for a very brief period of time, and emergency medical treatment was sought. In the second incident, a person inside of a ball suffered a fracture when the ball fell out of the shallow, above-ground pool onto the hard ground. CPSC is warning consumers that there is a combination of risks associated with this product, including the potential for suffocation, as well as the potential for drowning and impact injuries. Because the ball is airtight, an inadequate air supply can result when oxygen is depleted and carbon dioxide accumulates inside the ball. Such a dangerous scenario can occur in as little as a few minutes. Because the water walking balls have no padding, impact injuries can occur if the balls collide with each other, or fall out of the pool onto concrete or other hard surfaces, such as ice or tile. These water walking balls are also being used on open water, creating the potential for injuries if the ball is struck by a boat or strikes a solid object, such as a buoy or pier. Additionally, the balls present a high risk of drowning if there is a leak or a puncture. CPSC has informed state amusement ride officials of the risks associated with this product and encourages state officials not to permit this ride in their state. CPSC does not know of any safe way to use this product. More information on this warning can be found at the CPSC website.